I would like to introduce you to a company that has a real family feel to it. This company is Boba, and it is important to mention just how far they have come, in the 5 years since it was foundered by Elizabeth Antunovic. 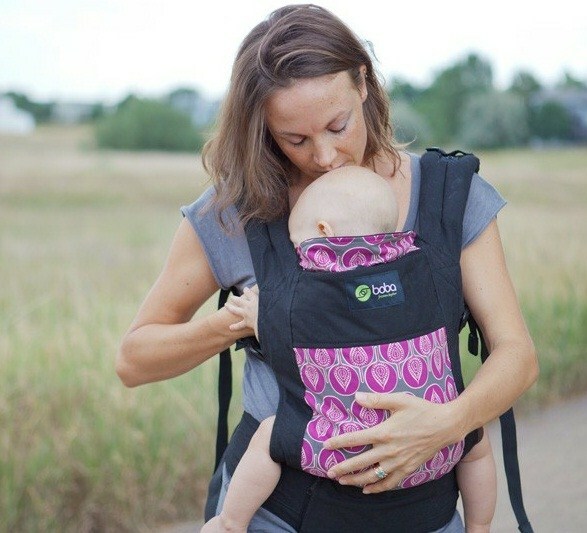 Boba designs baby slings and carriers for those parents who are constantly on the move. The products are carefully thought through and give parent's the freedom to create a very special bond with their child through the art of baby wearing. I have had the pleasure of reviewing the Boba Carrier 3G in Lila with Leo, and he like me seems to really enjoy using it. Not only is the carrier brilliant but the company has absolutely amazing customer care. You can reach Boba via email or Twitter and always receive a swift reply. When I received my Boba Carrier, I sent out a Tweet expressing my delight and they were very quick to respond, extending their words of wisdom and guidance in case I needed any help in getting to know the in's and out's of my new carrier. What I really love about the Boba Carrier 3G is the choice of colour's available. With many carriers I have looked into, they are all very similar and the same standard Black, if you are going to be baby wearing you really should look for a splash of colour right!? Of course even though the designs are completely brilliant, you do have to take the features into consideration too, with the Boba there is plenty that this very light, easy on the eye carrier achieves. The carrier is very easy to adjust to your size and can be worn on your front, or on your back like a ruck sack. There is a very helpful instruction booklet enclosed in your box that demonstrates how to safely use your carrier with your child. I like that I can put the carrier on my front or back, and that I don’t have to make a million and one adjustments to the carrier in order to do so. I have attempted to put Leo on my back and this is something that I do struggle with, I shall keep trying to do so, but failing that I am sure that Luke will make sure Leo is strapped in safely. Having Leo on my front is my favourite way to use the carrier, it is perfect to make sure Leo is happy while in the carrier and allows us to communicate and bond while on the move. Although having Leo on my front seems to provoke loving pokes to my face and since he has learnt the art of blowing raspberries...I am at the hands of a serial raspberry blower with no where to turn that is safe and sheltered! I have been using a sling with Leo up until the arrival of our much loved Boba Carrier, and the difference in how the weight is spread is incredible. Leo must weigh about 25lbs now if not more, and the way the weight is distributed provides no strain on your shoulders or your back. I have taken Leo for walks around the town and down by the river, just to test the Boba's capabilities and to see if I would feel confident enough to leave the pushchair at home, and venture out with the carrier and the changing bag for the day. Today I did just that, I hopped on a train just before 7am and travelled a 3 hour journey with multiple changes. I tackled the crowds and I climbed up steep steps, with Leo safely tucked up in the Boba. Using the carrier took away the stress of wondering if the station would have a lift for us to use, or having to find a big muscly man to come to my rescue and carry the pushchair up the stairs. The shoulder strap holders allow you to attach your key's or even your purse. If you are just nipping into town then this feature is brilliant and eliminates the need of a big bag to carry with you. You could even attach some of baby's favourite toys! As we were on a long day out, I did need to take my full changing bag but I managed to carry this over my shoulder without obstructing Leo in his carrier. After using the sling for an entire day I can tell you that the padding is in all the right places and it fits the wearer snugly. I could feel that Leo was completely supported and this put my mind at ease when tackling all those stairs. The clips are sturdy and once they are plugged in are not going anywhere, so you don't have to worry about them coming loose while you are off on your adventures. While on our travels Leo dozed off in the carrier, despite his greatest efforts to stay awake I might add. 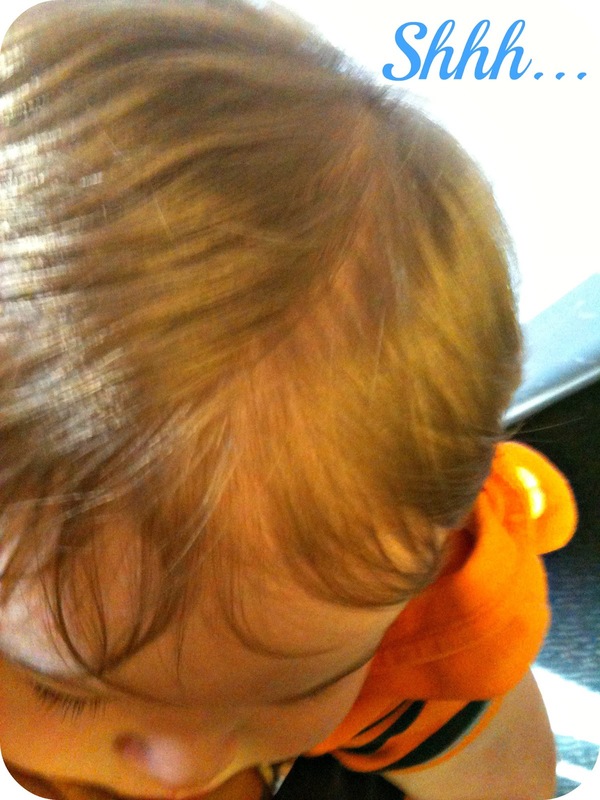 He fell asleep at exactly the right time...Just as we missed our train. So while I figured out what to do, Leo closed his eyes and lay his head against my chest. I took the opportunity to attach the sleeping hood which allowed Leo to get some extra shade from the beating sunlight and is great for any breastfeeding Mummy's out there. 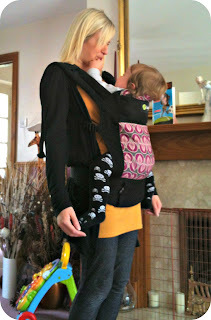 The Boba Carrier adjusts easily to hold a newborn and can be used from 7 lbs up. There are no extra inserts required which means you only need one carrier to cater for a newborn and a toddler. For toddlers, the carrier comes with patent-pending removable foot straps that improve their posture, support their feet and make for a much more comfortable journey. The only thing I found while using the Boba 3G was that with the Sunny weather we were lucky enough to experience today, that it did get quite warm tucked up in the carrier with Leo. Of course this is to be expected while baby wearing in the Summertime. While we have been using the Boba Carrier I have been approached by fellow travellers that we have come across on the train, they told me just how pretty they thought my carrier was. They have been very impressed how easily I have got around with my Boba Carrier and one lady even went home to recommend it to her daughter for their 4 month old grandchild! Leo and I are loving our Boba 3G Carrier and will be using it for a long time to come, it is great to not have to use the Pushchair for everything and nipping to the shops no longer leaves my arms heavy with the weight of my 11 month old son. If you are looking for a single baby carrier that suits all of your needs from when your baby is a newborn right on into toddler hood, the Boba 3G could be exactly what you are looking for! You can purchase your very own Boba Carrier right here. While you are visiting Boba's official site, I must recomend that you take a look at their Boba Wraps too! 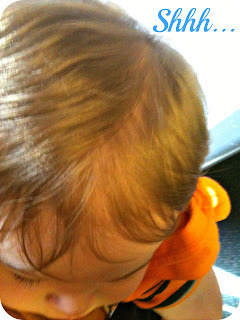 I have a Mo by Wrap but my daughter is not comfortable in it anymore. I have been looking for another cotton bags carrier that promotes good hip placement, is affordable and compact. This looks awesome! Slugs & Snails - How Do You Wear Your's?